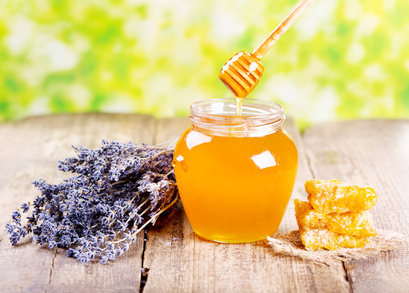 Honey isn’t just a sweet delicacy anymore! Enjoy a refreshing facial bath fortified with skin nourishing amino acids, minerals, vitamins and enzymes which Honey contains naturally. This formula will absolutely not hurt the delicate acid mantle of the skin. The addition of Organic Lavender soothes inflammation caused by problematic skin conditions. This wonderful cleanser combines gentle foaming ingredients derived from Coconut and Sugars creating this synergistic blend for getting a beautiful clean complexion. We enhanced the formula with Organic Aloe to soothe skin irritations while our Organic Honey provides gentle cleansing, and humectants for attracting moisture to the skin. Honey is the sweet confection taken from the nectar of flowers and manufactured by bees. Used since Egyptian times for medicinal and cosmetic purposes. You will love the soft, clean surface it leaves due to the natural emollient properties it has, and its’ ability for leaving a micro thin protective layer on the face. Organic Lavender ~ This botanical is a natural humectant and it helps to balance the pH of the skin. It also works wonders on stressed facial tissue. This is not Lavender essential oil, but a steam distilled hydrosol. Organic Oat straw Extract ~ This botanical is known for its’ skin soothing and softening capabilities. Helps alleviate dry skin and the itching associated with it. Kosher Vegetable Glycerin ~ Derived from fixed oils like Palm Oil, and is a natural humectant drawing moisture from the air to the skin. It also temporarily relieves dryness and is very emollient leaving skin soft and smooth, and will not cause irritation. Hydrolyzed Wheat Proteins ~ This is rich in proteins and amino acids, and deposits a protective layer on skin while offering smoothing and moisturizing properties. D-Calcium Pantothenate ( Vitamin B5) ~ Another powerful antioxidant, and is essential to the body for overall health. Used topically it helps to fight free radical damage associated with the signs of aging. The subtle inherent aroma is fresh and clean and will leave you feeling refreshed and revived.